Happy new week to you from us here at the MFT Challenge & Inspiration blog. Are you ready to learn something new to start things right? You're in the right spot, then! This week we're going to take a look at Creating Texture for Interest in your designs. Sometimes when you're creating a paper crafted masterpiece, there seems to be something missing in your design. Often what you can add to give it that extra special touch is some texture for interest and depth. Today's video will give you several fun ideas for adding just a little something special to take your design from good to great! Stephanie used the super cute Farm-tastic stamp set and Die-namics in her project. Watch the video below or click HERE to watch it on YouTube. So many great ideas, Stephanie! She reminded me that I need to pull out my Diamond Glaze more often. Let's take a look at a few examples of other projects that add texture in various ways. 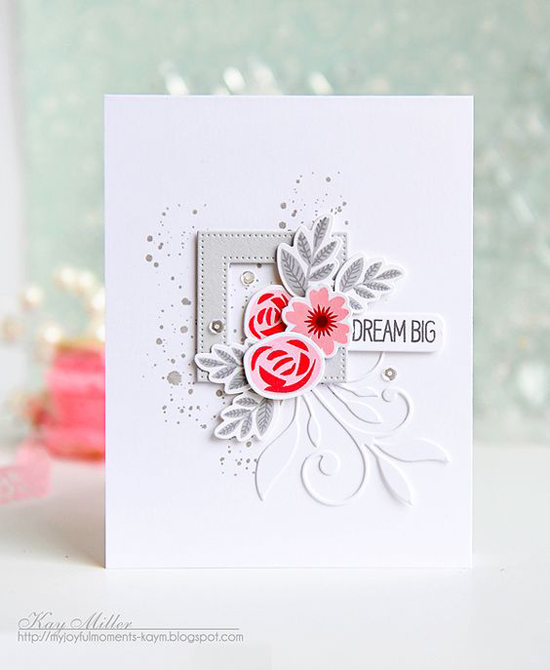 Kay's card has lots of great white space and a super obvious focal point created with the gorgeous Mini Modern Blooms stamp set and Die-namics. Left by itself, the focal point would get lost in all of that whiteness, so Kay added texture and depth to her card by simply using the Distressed Patterns stamp set for interest. 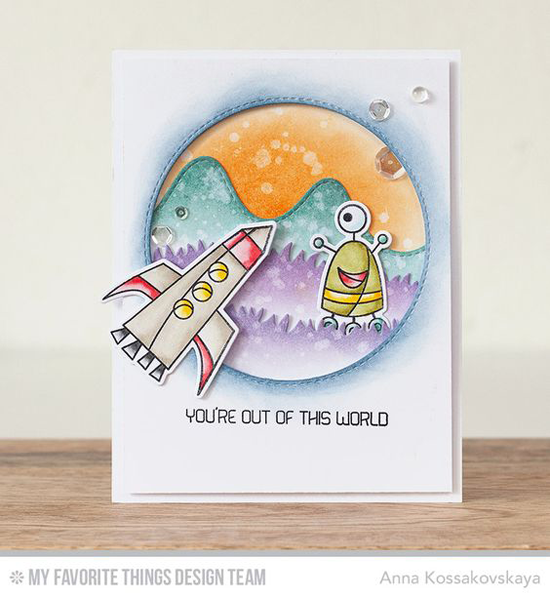 Melania creates an adorable and magical scene combining the Out of This World stamp set and Die-namics with the Stitched Rainbow Die-namics. Her ink blended background and clouds are lightly splashed with water for texture, and she added Stickles to her stars that she die cut using the Stars in the Sky - Vertical Die-namics. Anna added tons of texture with layered Die-namics and lots of blended inking with little bits of water added. Many of the Die-namics from My Favorite Things instantly add texture with stitched and pierced lines around the perimeter. Now it's your turn to create using extra bits of texture for more interest in your designs! Be sure to tag #mftstamps when you post your projects online. We can't wait to see what you've made!